Little Albert was the fictitious name given to an unknown child who was subjected to an experiment in classical conditioning by John Watson and Rosalie Raynor at John Hopkins University in the USA, in 1919. By today’s standards in psychology, the experiment would not be allowed because of ethical violations, namely the lack of informed consent from the subject or his parents and the prime principle of “do no harm”. The experimental method contained significant weaknesses including failure to develop adequate control conditions and the fact that there was only one subject. Despite the many short comings of the work, the results of the experiment are widely quoted in a range of psychology texts and also were a starting point for understanding phobias and the development of treatments for them. 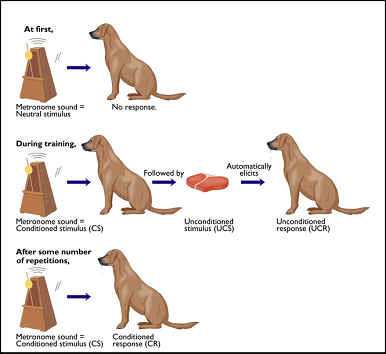 Classical conditioning is a type of behaviourism first demonstrated by Russian physiologist Ivan Pavlov in the 1890s.Through a series of experiments he demonstrated that dogs which normally salivated when presented with food could be conditioned to salivate in response to any stimulus in the absence of the original stimulus, food. He rang a bell every time a dog was about to be fed, and after a period of time the dog would salivate to the sound of the bell irrespective of food being presented. What did Watson do to Little Albert? Many people have illogical fears of animals. While it is logical to be frightened of a predator with the power to kill you, being afraid of a spider, a mouse or even cats and most dogs is not. To those of us who don’t suffer from phobias it is the funniest thing in the world to see a person standing on a stool, screaming because of a mouse. Phobias however are real, and for some people quite limiting and potentially damaging. Imagine suffering from agoraphobia – fear of open spaces or even being afraid of going to the dentist to the extent that your health suffered. Now, while we know now that phobias can be learned from watching others who have a fear, for example our mother being afraid of spiders, known as social learning, Watson used the tools and knowledge he had available to him to investigate the potential causes of them ultimately, one supposes, to develop treatments for phobias. John Watson endeavoured to repeat classical conditioning on a young emotionally stable child, with the objective of inducing phobias in the child. He was interested in trying to understand how children become afraid of animals. Albert was 9 months old and taken from a hospital, subjected to a series of baseline tests and then a series of experiences to ‘condition’ him. Watson filmed his study on Little Albert and the recordings are accessible on Youtube.com. Watson started by introducing Albert to a number of furry animals, including a dog, a rabbit and most importantly a white rat. Watson then made loud, unpleasant noises by clanging a metal bar with a hammer. The noise distressed Albert. Watson then paired the loud noise with the presentation of the rat to Albert. He repeated this many times. Very quickly Albert was conditioned to expect the frightening noise whenever the white rat was presented to him. Very soon the white rate alone could induce a fear response in Albert. What was interesting was that without need for further conditioning the fear was generalised to other animals and situations including a dog, rabbit and a white furry mask worn by Watson himself. Watson and Raynor who knew all along the timescale by when Albert had to be returned to his mother, gave him back without informing her of the activities and conditioning that they had inflicted on Albert, and most worryingly not taking the time to counter condition or ‘curing’ him of the phobia they had induced. What were the problems with this the way this study was done? Do no harm. Psychologists have to reduce or eliminate the potential that taking part in a study may cause harm to a participant during and afterwards. Little Albert was harmed during and would potentially have suffered life-long harm as a result. The participants’ right to withdraw. Nowadays, if you are involved as participant in any psychological or medical study you are given the right that you can withdraw at any stage during the study without consequence to you. Albert and his mother were given no-such rights. The principle of informed consent. Subjects have to be given as much information about the study as possible before the study begins so that they can make a decision about participating based on knowledge. If the research is such that giving information before the study may affect the outcome then an alternative is a thorough debrief at its conclusion. Neither of these conditions was satisfied by Watson’s treatment of Albert. Professional competence of the researcher. While it may seem presumptive to question the behaviour of the father of “behavioural psychology”, the method used in this study was not particularly good psychology. There was only one subject and the experiment lacks any form of control. Such criticism however, is a little post hoc since research in psychology at that time was in its infancy. Besides the ethical issues with the experiment, as can be seen from the recordings, the environment was not controlled, the animals changed, and several appeared themselves to be in distress. The final act of Watson applying a mask was presented very closely to Albert, something that potentially would cause any child distress. Watson could have ‘cured’ Albert of the phobia he had induced using a process known as systematic desensitisation but chose not to as he and Raynor wanted to continue with the experiment until the Albert’s mother came to collect him. Wow, this entire article is full of inaccuracies. Firstly, they didn’t begin the conditioning experiments on Albert until he was 11 months and 3 days old. While the first few original reactions with the different animals did not need further conditioning, the steel rod was struck several times throughout the experiment to reinstate the fear response with the stimuli. Also, it is only speculated that Albert’s mother was unaware that these experiments were going on. 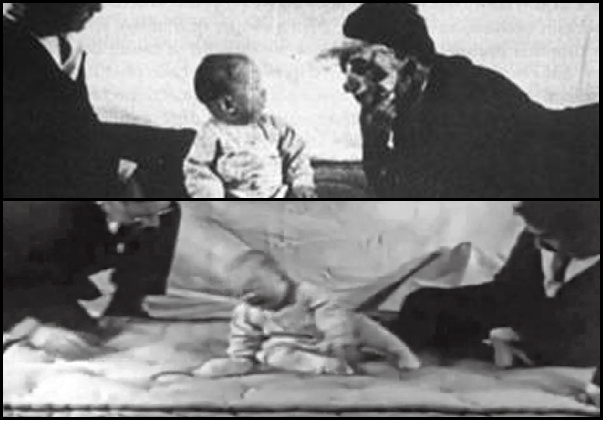 You mention that the mask in which Watson wears at the ending of the video would distress any child, but before beginning the experiments, Watson and his crew tested several different stimuli on Albert and marked any emotional responses. The masks were part of this test and did not originally trigger a response. A fear response was present after Albert was conditioned to fear the white rat and things that were visually similar. The mask had white hair attached at the top. He had a similiar response to a paper bag of white cotton wool. Lastly, the fact that your entire article is written with a secondary source (written in 1979 no less) as your only source beside the video, and never even refers to Watson’s original journal publication (which is available for free online at http://psychclassics.yorku.ca/Watson/emotion.htm) is even more of a reason to find this article flawed.